All of our canvas prints frames are cut directly from wood and then brought together in our production facility with the utmost care and attention. We DO NOT use pre-cut stretcher bars made from cheap wood in order to ensure the strength and durability of the frame. Get your canvas prints quick and easy. Our large volume allows us to offer very competitive pricing, and we're confident you will find the best prices right here. If there is better a better published price, we will match the price and give you an additional discount of 10% off the price of your order. 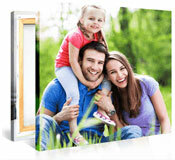 Create your custom canvas photo prints in high quality and for reasonably priced. 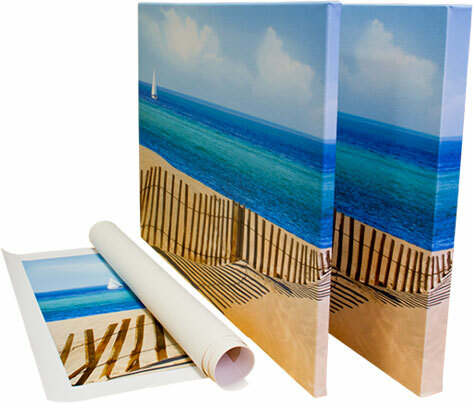 Canvas Prints in various formats and sizes: Canvas prints is created when an image is printed onto a canvas that has been stretched or gallery-wrapped. The canvas must be correctly sized and then glued or stapled onto the wooden stretcher bars of the frame. The frame is also sometimes referred to as a gallery wrap, since the edges of the canvas are "wrapped" behind the frame's thick wooden bars. If a print continues over the edges of the frame once wrapped, it is referred to as a "full-bleed." Home Decor with Canvas Prints: Canvas prints were usually used by interior designers to decorate homes. They are a cheaper alternative to framed artwork and do not require any kind of varnish or additional treatment. They can be reproductions of famous artwork or used to showcase the owner’s own paintings, drawings, or photography. But nowadays canvas print is gaining too much popularity amongst people who do not belong to arts or photography related profession. 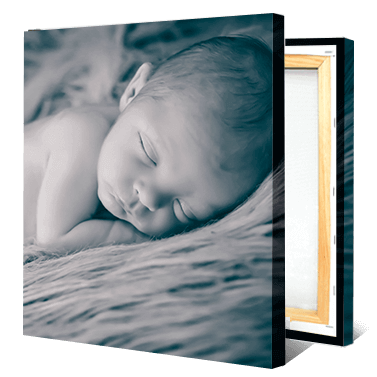 Why canvas prints are becoming more and more popular is because photo printed on canvas make you feel like it’s a painting, whether is your wedding, children, pet or holidays photograph. It looks stunning printed on canvas. and 1000s of custom sizes.